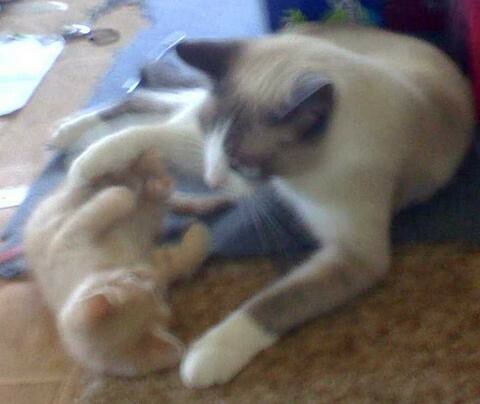 my Siamese cat Celeborn with a little Simba. Celeborn went missing about 4 or 5 years ago after some assholes left a threatening note in our mailbox. miss him so much.